Nepal – An Asian country in the southern part of Himalayan mountain ranges. It is a landlocked country bordering with India to east, south, and west. Nepal is divided into three physiographic areas as Himal, Pahad and Terai. You can experiences five seasons viz summer, monsoon, autumn, winter and spring in Nepal. Nepal, a paradise destination for trekking and mountaineering heartily welcomes all type of visitors. It comprises of Himalayan views, golden temples, pleasant hill villages and jungle wildlife which makes it’s a grand travel destination of the world. Nepal is popular for mountaineering having some highest & most challenging mountains in the world. Nepal has a diverse geography including fertile plains, subalpine forested hills, and eight of ten tallest mountains in the world including Mount Everest-the highest point on Earth. Kathmandu is capital and largest city of the country and official language is Nepali. Lord Gautama Buddha, the founder of Buddhism religion was born in Lumbini in southern Nepal. Nepal offers an amazingly diverse array of attractions and landscapes to draw the visitors and pilgrims. Tourist attracted by mountains to climb or trek, culture and spiritual awakening. Most of the travelers spend time in Kathmandu visiting. Mountain Peaks: The Nepal Himalaya is ultimate destination for mountain lovers. There are some of most iconic hiking sites as Mt. Everest, Annapurnas. Take amusement of trekking Rafting, bungee jumping, Canyoning, Climbing, Kayaking, Paragliding and mountain biking around backdrop of some of most iconic landscapes of world. Sacred Sites: There are many numbers of religious sites Pashupatinath, Bhaktapur, Baudhnath, Swayambhunath. It is a great place to learn about everything of Tibetan Buddhism. Kathmandu Valley has seven world heritage sites. Wildlife: South Nepal has a chain of national parks where you can see exotic bird species, rhinos, tigers and crocodiles. Holidays and Festivals: There are most number of public holidays are celebrated in world. Kathmandu: Kathmandu, the capital as well as largest city in Nepal has numerous historic temples and carved statues. Kathmandu was one of three rival royal cities along with Bhaktapur and Patan. Visit UNESCO World Heritage Site Durbar Square. Lumbini: A town in Rupandehi District is world renowned for being birthplace of Siddhartha Gautama, Shakyamuni Buddha- founder of Buddhist religion. Lumbini is a UNESCO World Heritage Site. Pokhara: A city located at the base of the foothills and surrounded by some of the highest mountains in the world as Dhaulagiri, Manaslu, and Annapurna I. Pokhara valley is eminent for boating, trekking, rafting, rafting, canoying and bungee jumping. 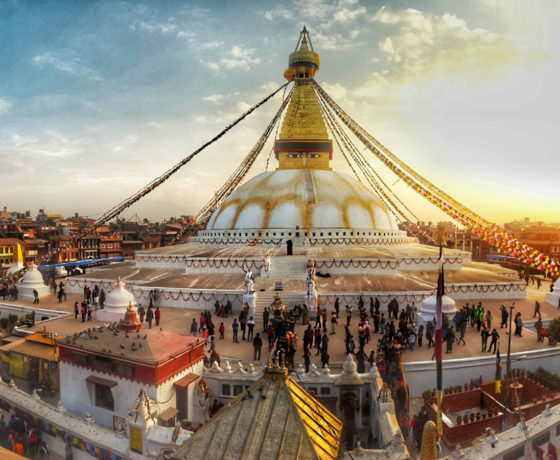 Boudhanath Stupa: One of the largest stupas of its kind in the world located in outside of Kathmandu. 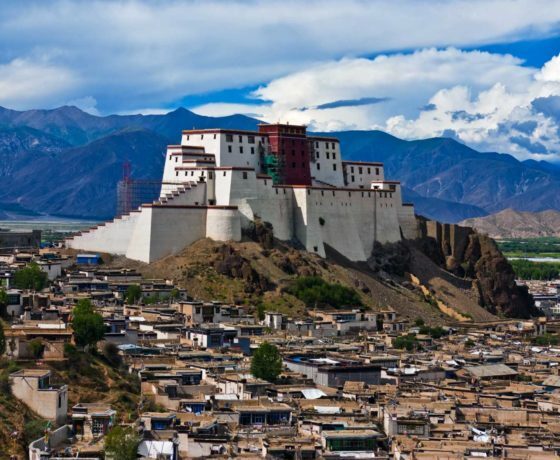 It is a UNESCO World Heritage Site and a symbol of enlightenment. Swayambhunath: Termed as Monkey Temple because of the residence of huge number of monkeys which inhabit parts of the temple. This stupa is located atop of a hill to west of Kathmandu and second most significant shrine in Kathmandu Valley after Boudhnath. Pashupatinath Temple: A famed sacred Hindu temple devoted to national deity Lord Pashupatinath located on the banks of river Bagmati in eastern part of Kathmandu. This temple is a UNESCO World Heritage site. Bhaktapur: Known as Place of devotees or Khwopa is an ancient Newar city in east corner of the Kathmandu Valley. Bhaktapur has a preserved palace courtyards and old city center which is counted among UNESCO world heritage site. Chitwan National Park: A place to explore wildlife located at altitude of just a 100 meters in southwest of Kathmandu. It houses to rhinos, Bengal tigers, leopards, sloth bears, gaur, dolphins and many more species. Trekking in Nepal: Topmost trekking region in Nepal are There are Annapurna, Langtang, Everest & Base Camp and Helambu. 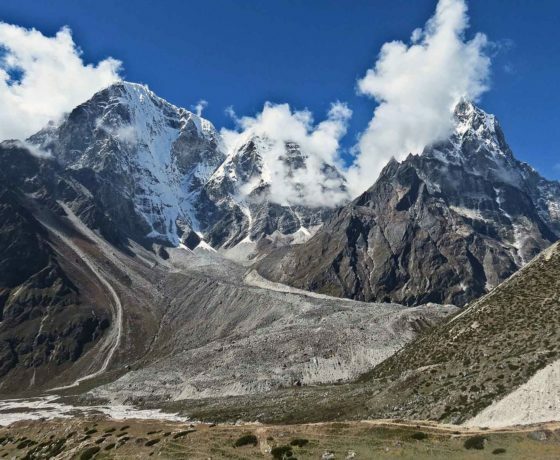 Climate of Nepal varies with topography and altitude ranging from tropical to arctic. The mid-land regions are pleasant whole year. Nepal has four climatic seasons. Spring (March – May): The temperature is mildly warm in low lands while moderate in higher altitudes. It’s the time for flowers to blossom and the national flower of Nepal – rhododendron sweeps the ascending altitudes with its magnanimous color and beauty. Summer (June – August): This is monsoon season and weather is hot and rains almost every day. The rain spreads the pleasantness with lush green vegetation. Autumn (September – November): Best season to visit in Nepal and it is highly pleasant. This is the peak season for trekking and also the festivity season of Nepal. Winter (December – February): The weather is cool and sky is clear with occasional snowfalls at higher elevations. It is also good time for trekking in lower elevations. Change all Nepalese currency before depart and most way of do at Kathmandu Airport. Carry a torch/flashlight with you at all times. Support the Non-Plastic initiative and carry a re-usable bag with you. Most of the trekking lodges provide safe drinking water. Take a multi-plug adapter and voltage adapter. Touch someone’s head. Don’t go around patting people on the head back home. Don’t encourage begging by giving money to beggars. Drink tap water. Most places will provide safe drinking water. Do not buy or use drugs. Dress scantily: Nepal is melting pot of different local ethic cultures & regional cultures.